Ready to start your camping adventure, however, do not have or want a truck to pull a travel trailer? 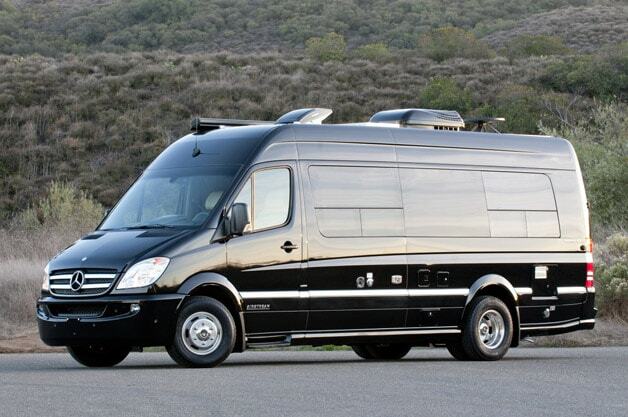 Not sure if you are willing to invest in a giant RV yet? Then you need to come to your local Airstream dealer in Wisconsin and see the all new Airstream Interstate collection. 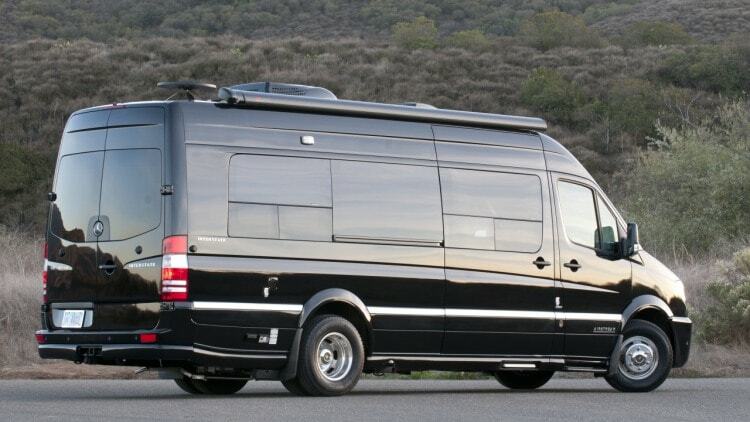 The Airstream Interstate has all comforts of a large RV without the bulk of one. The Airstream touring coaches feature high end and upscale designs that are sure to make any camper happy. This Airstream motor coach is the perfect size for a couple or family to take on a cross-country adventure. With its fluid design and high-end features, you will feel like you are staying, in a five-star hotel and not in a motor coach. The Airstream Interstate Lounge EXT comfortably sleeps up to four people and with two different floor plans, which offer the choice between a power sofa that can fold into a queen sized bed or a set of twin beds. Both Airstream Interstate Grand Tour floor plans feature a larger galley and workspace than the Interstate Lounge. The Airstream Interstate comes with a full bathroom and kitchen plenty of counter space and convenient features such as a flexible workspace desk, and an over-sized fridge and freezer. This Airstream RV also comes with a 32-gallon freshwater tank, a 27-gallon gray water tank, and a 14-gallon black water tank; now you will never have to stop every twenty minutes when someone has to go to the bathroom. The Airstream Interstate can easily sit up to nine people at a time make and offers clever and innovative ways to add space and function without taking away from the style. This Airstream for sale offers ample amount of counter space for prepping food and with covers for both the stove top and sink, keep this Airstream for sale clean and clutter free. When you travel with an Airstream Motorcoach, you are getting more than the impressive Airstream Interstate you are also getting an easy way to travel. With a built-in navigation system, you can easily find your destination and never have to fuss with your phone or GPS. Along with a premium sound system and steering wheel controls you are sure to enjoy not only your destination but also the trip there. 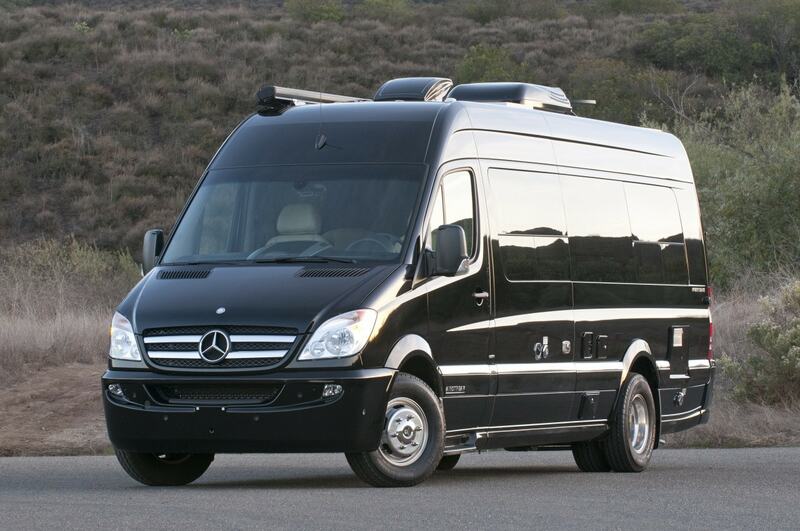 Plus unlike its competitors, the Airstream RV comes with a Mercedes engine give you gas mileage you will not believe. Come to your local Airstream dealer and see the Airstream Interstate for sale, and if this Airstream RV is not what you are looking for come and see one of the many other Airstream RV’s and travel trailers for sale. Ewald’s Airstream of Wisconsin is located at 6319 S 108th St in Franklin, Wisconsin.